President Muhammadu Buhari displaying the new 10-year Diplomatic International Passport as Minister of Interior, Gen. Abdulrahaman Dambazzau watches with excitements. Barely three days after the management of the Nigeria Immigration Service (NIS) said registration and the issuance of new international passport would cost Nigerians N70,000, Nigerians have rejected the price, saying it is not in tune with current economic realities. The cost of current passport hovers between N7,000 to N10,000. A number of respondents, who spoke to Business Hilights Intelligence Unit Team, said raising the price of new International Passport at a time the economy is weak shows that the government is far from the economic realities which are breeding poverty on a daily basis. They said paying N70,000 to secure an international passport is not consistent with both current and emerging new minimum wage. Many Nigerians called on the government reduce the cost as the documents remains one of the essential services which a nation owes its citizens on demand. Explaining more on Monday, NIS spokesman, Sunday James, said the agency will commence issuance of the new international passport from Monday, March 4 2019 in Abuja, revealing that issuance of the passport will commence in Ikoyi in Lagos on March 25, Kano on April 1, Alausa, Ikeja, Lagos on April 8 and London, United Kingdom April 15. James further noted that the phase two multiple rollout in New York, Washington, and Atlanta, USA would follow immediately after London on April 22; while other locations, local and abroad, would follow in sequence from April 29. 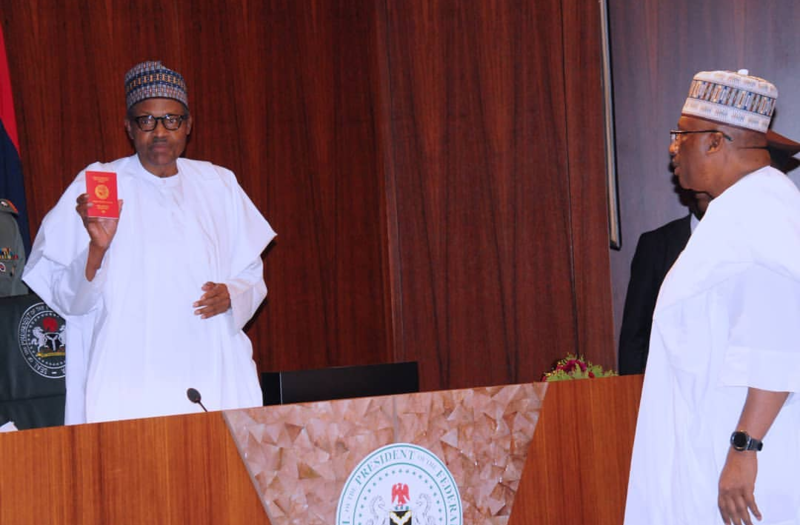 It would be recalled that President Muhammadu Buhari had on Wednesday, January 16 launched the new red diplomatic passport at an emergency Federal Executive Council meeting in Abuja. On how the existing passport booklet will work alongside the new one, NIS said both will run concurrently until the old passport expires. According to James, the advantages coming with the new passport include its 10-year validity, self-tracking of application and express centres for urgent application. Other advantages include weather friendliness; compliance with latest ICAO standard, polycarbonate technology that reduces the incidence of damage as well saves Nigerians in the Diaspora time of frequent visits to Nigerian Embassies.